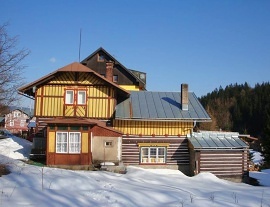 Cottage Pohoda - Vlčice, Trutnov. 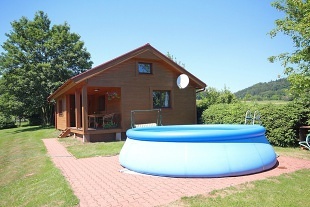 Rental cottage with a Krkonoše swimming pool. 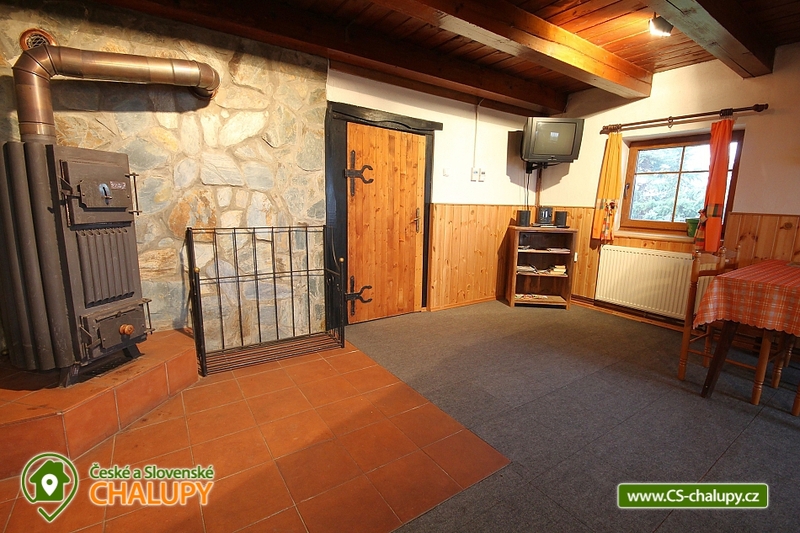 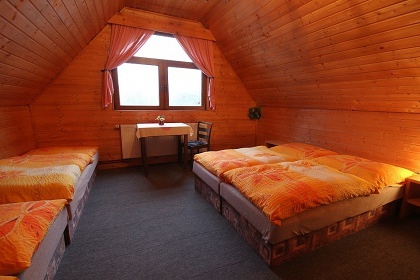 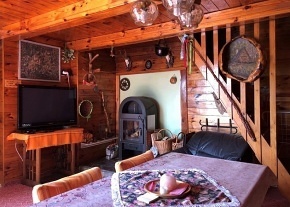 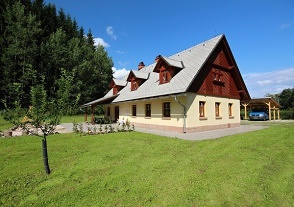 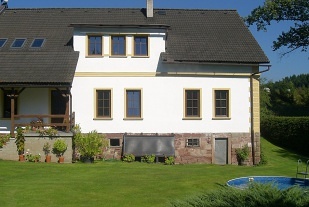 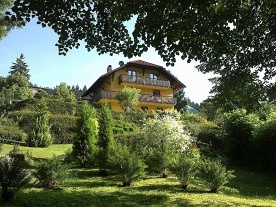 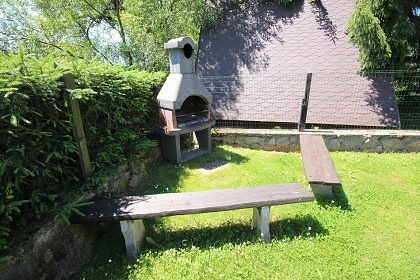 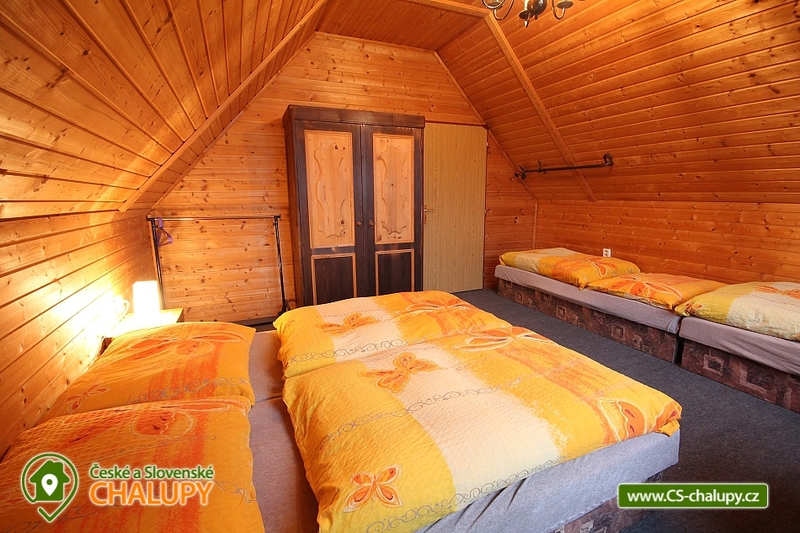 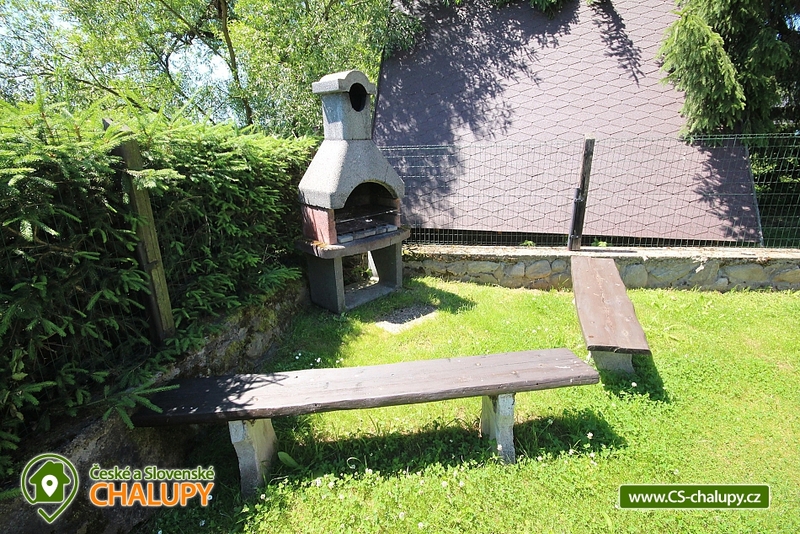 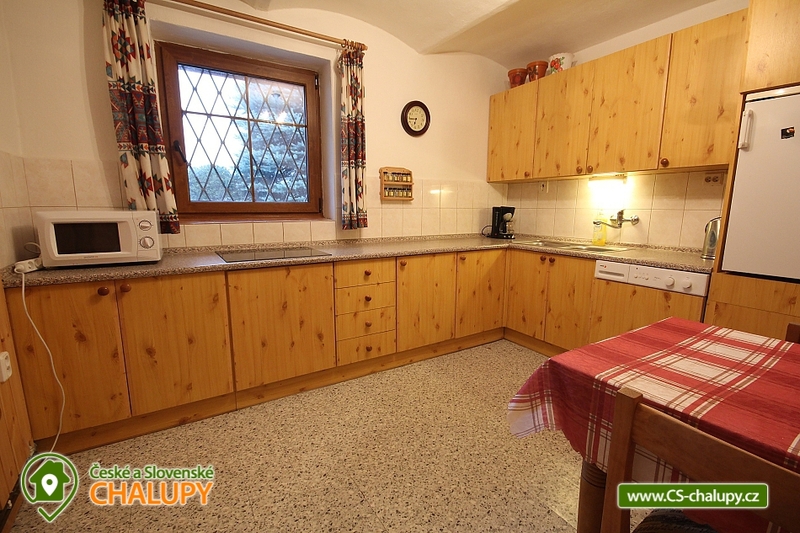 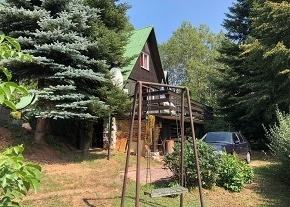 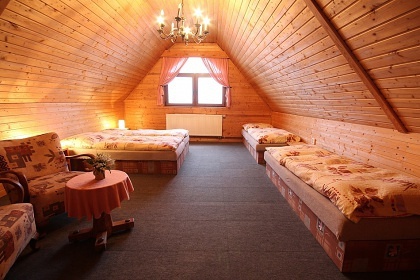 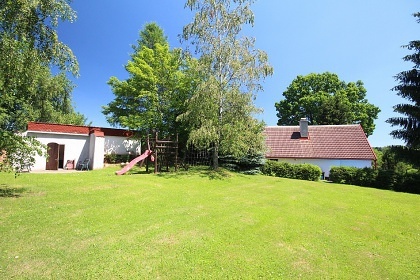 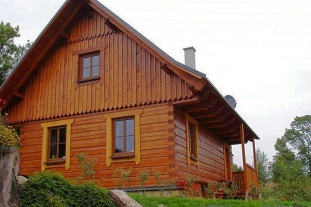 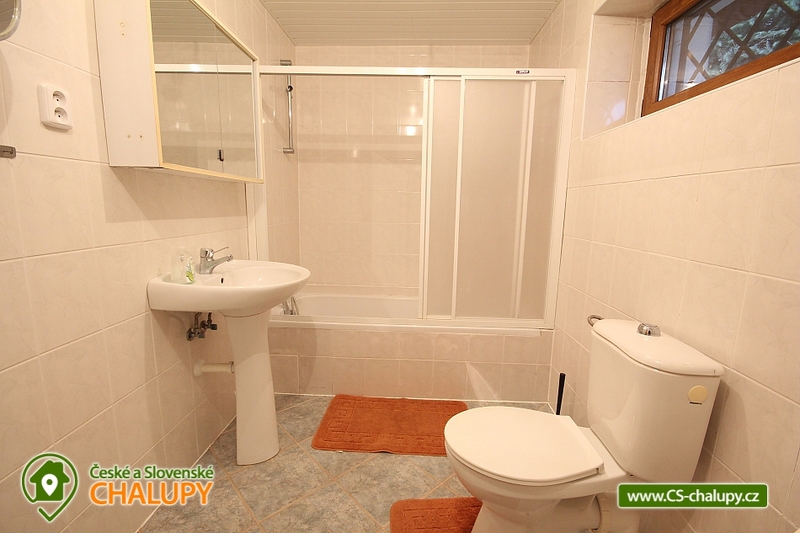 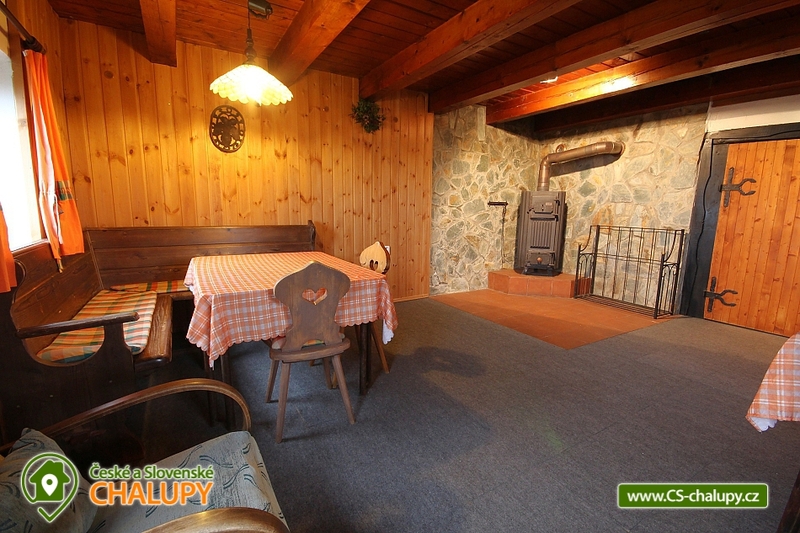 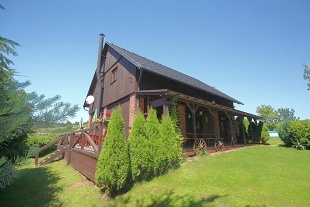 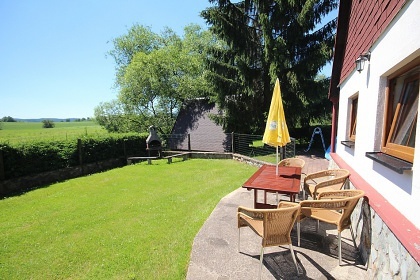 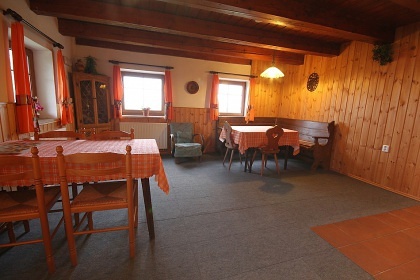 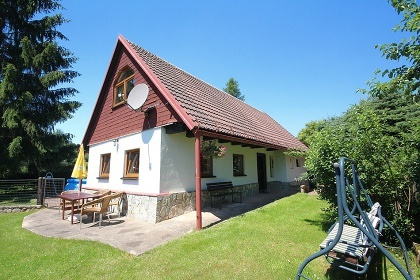 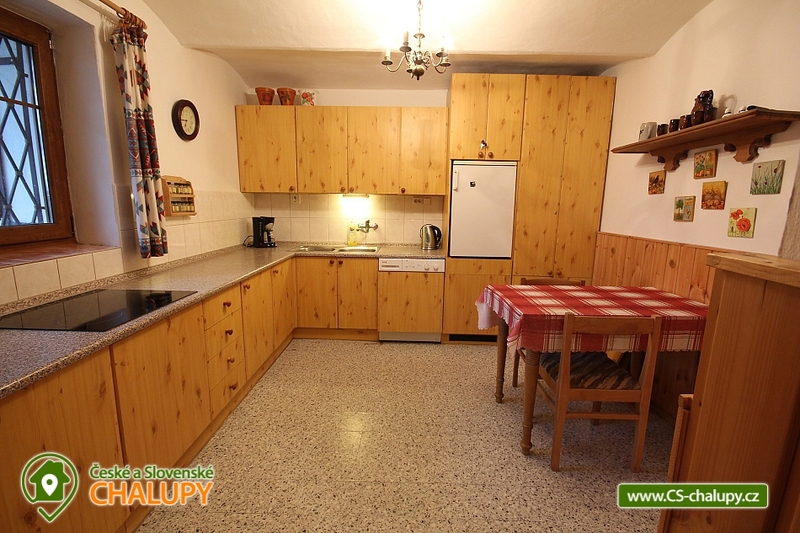 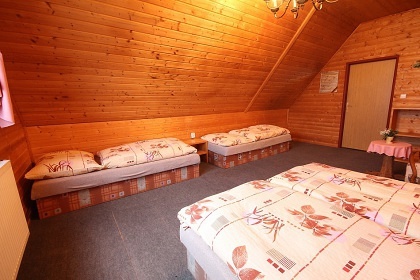 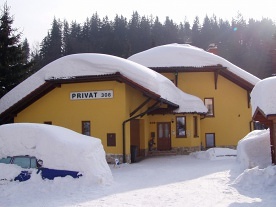 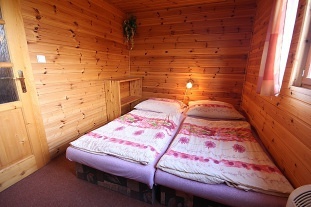 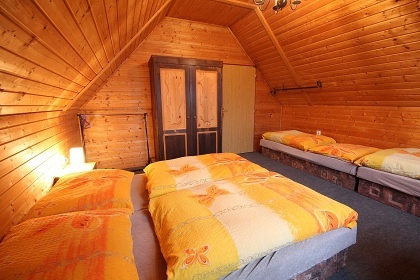 Accommodation cottage with swimming pool Vlčice near Trutnov. 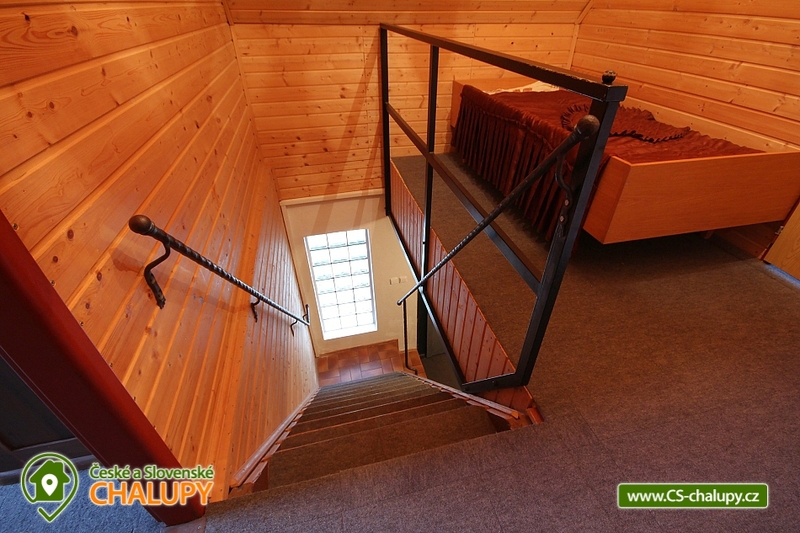 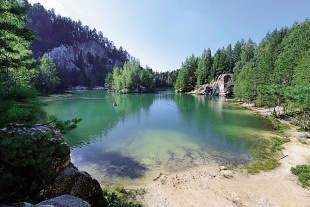 Our building is situated at the foot of the Giant Mountains near Hradec Kralove, 8 km to Trutnov, 9 km to Janske Lazne, 18 km to Pec pod Snezkou and 3 km to the new golf course or SKI complex (Mladé Buky). 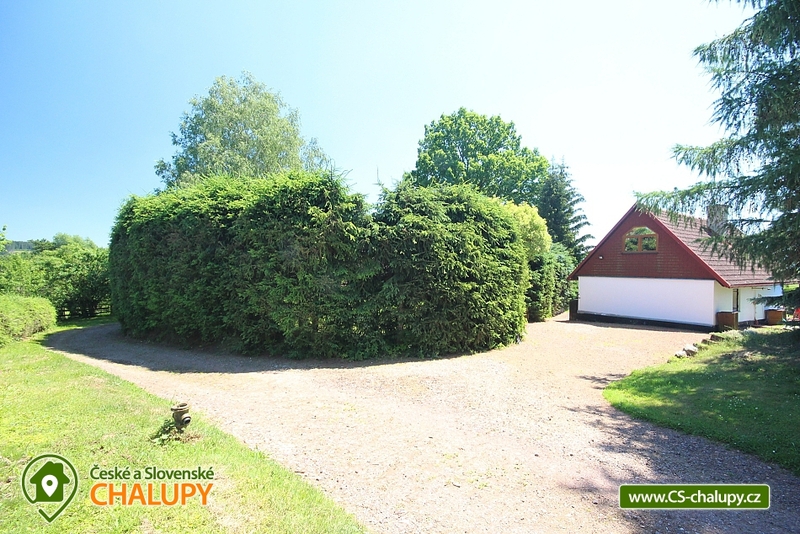 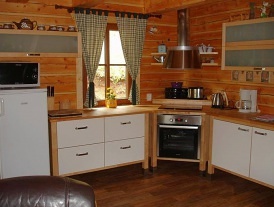 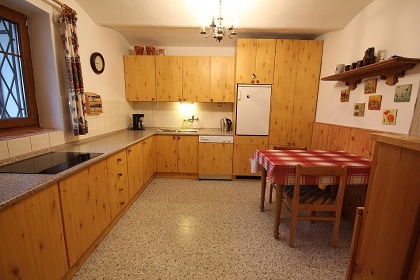 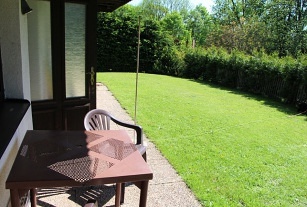 On the ground floor of the cottage there is a fully equipped kitchen (electric ceramic hob, microwave oven, fridge, kettle, coffee maker) and living room: 2x dining table, sitting, stove, TV + SAT. 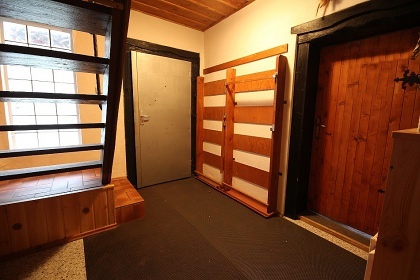 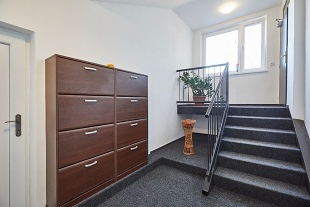 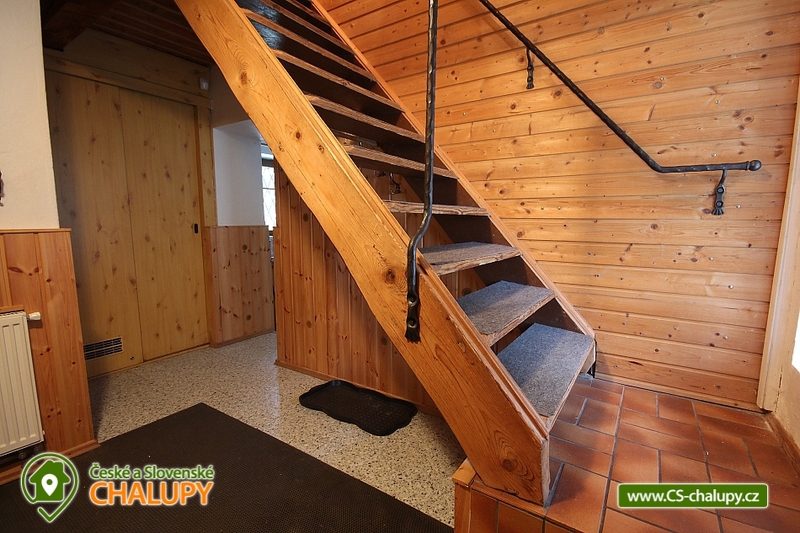 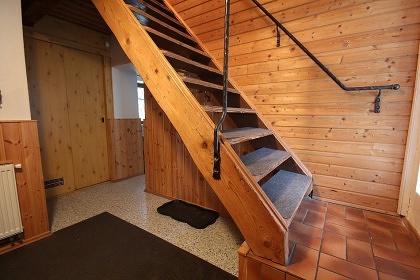 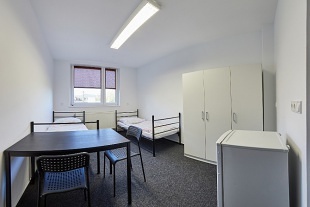 On the upper floor there are 2x 4-bedded bedroom (both double bed and 2x single bed) and 1x extra bed (single bed in the corridor above the stairs). There is a bathroom with bath, shower and toilet. There is a washing machine in the kitchen. 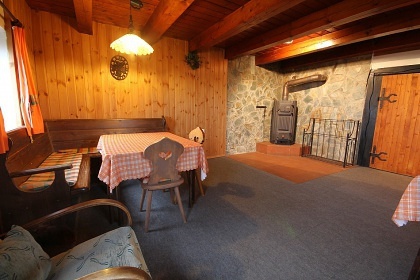 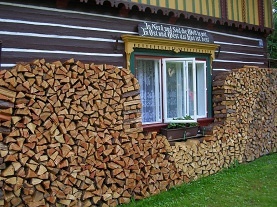 Heating is centrally provided by gas and a solid fuel fireplace. 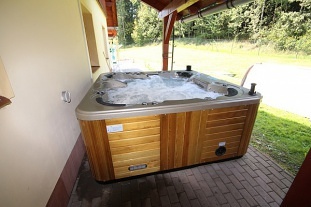 In the summer there is an inflatable circular pool (diameter 4.5 m, depth 1.1 m), terrace, garden furniture and outdoor fireplace. 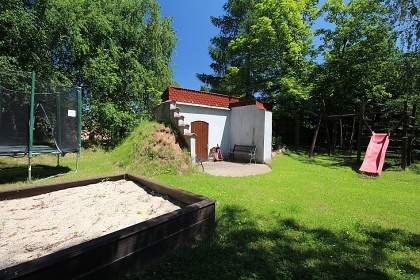 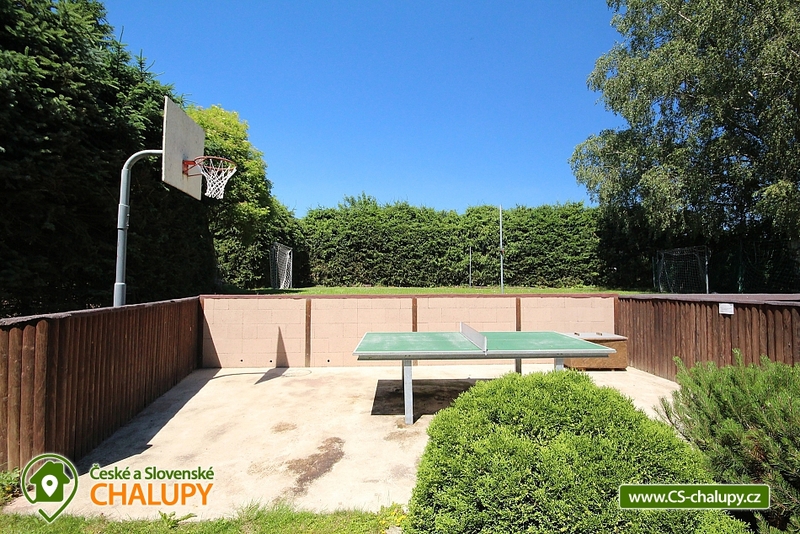 There is also a public multipurpose playground for ball games, a basket for basket, table tennis and for children: sandpit, climbing trampoline and trampoline. 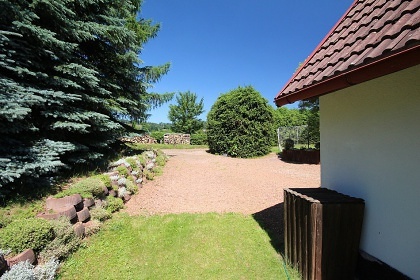 Parking in the fenced area with the possibility of using the garage.